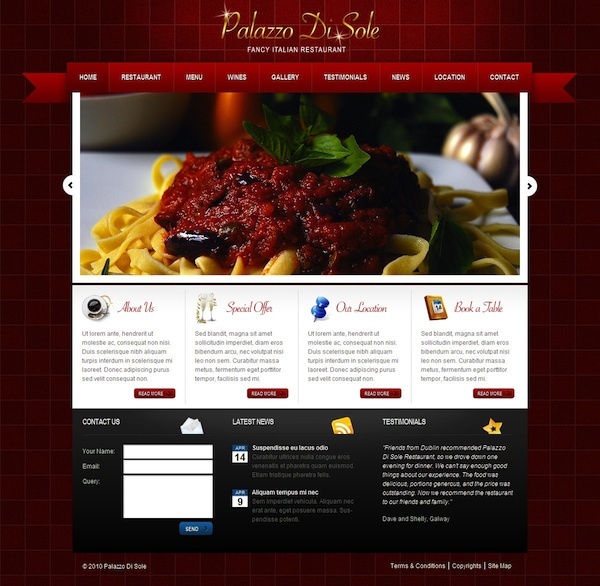 Palazzo Di Sole is great WordPress template excellent for restaurant, bar, pub or bistro. Clear code and perfectly organized in sets PSD files make everything clear and easy to find. This template contains home page, general inner page, blog page and gallery page. Features include scrolling featured images, Google maps, testimonials, latest news, menu cards and more.